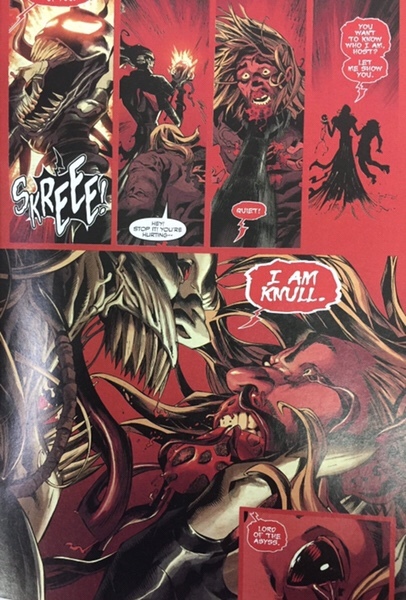 Last month we ran spoilers on Venom #2. 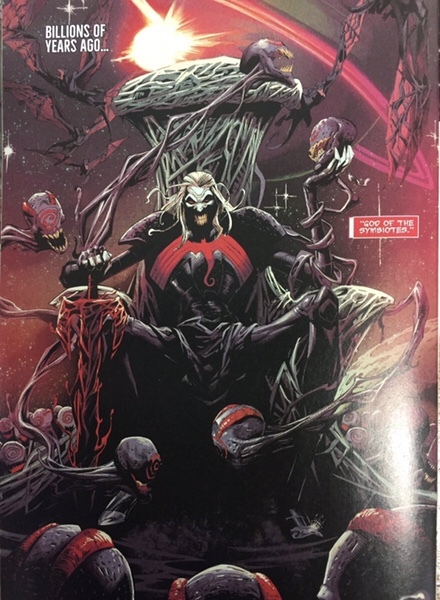 The issue featured a giant winged symbiote that begged the question, was that god, well god of the symbiotes. This week we get Venom #3 , with the definitive answer. The giant dragon looking symbiote may have been a form of the god, but we clearly get the full first appearance this issue. 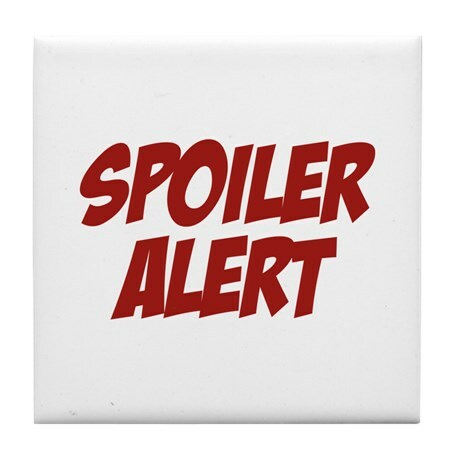 Click the spoiler logo for spoiled images. Venom #3 is out in stores tomorrow. Any news on Teen Titans special? First Crush yet? I will have it tonight. It’s definitely a 1st, just the cameo vs full debate. At the end of the day the print run will be significantly smaller for Teen Titans Special #1 than for Teen Titans #20 (which is STILL pre-foc and increasing daily). So if people settle on #20 and completely overlook the cameo in Teen Titans Special #1, the spec on these characters is just about toast. Supply vs demand is the name of the game and the supply for Teen Titans #20 will surely exceed true demand. At least for a couple years+. I do hate the cameo vs first debate. An appearance is an appearance. But in the end the market does decide. I agree Teen Titans 20 will have a huge print run and with FOC still in the future, it will be a large print run. I’m with Anthony though, just need to do away with the cameo and 1st appearance baloney… you either appear or don’t appear. A cameo is an appearance, it’s just brief and the audience might not realize who it is until later. What is pre-foc and FOC? Final order cutoff? Yes. Final order cut off. Where retailers are no longer guaranteed copies. After that they are Advance Reorder where they are not guaranteed. I usually don’t do variants, but picked up 2 at below ratio from an online site. Hope this turns out to be a nice spec both short and long term. I’m not normally a Venom fan but Cates has brought me into this run. Glad I pre-ordered a few here-and-there! The regular cover is great too. Don’t sleep on those. Don’t pay the hype premium price. No one even knows if this character will stay popular. Honestly I’d rather miss out than lose out. Cates has been known to kill a character or two, too. Looking at you, CGR. Didn’t stop cgr from getting his own series, albeit limited. Looks great, I need to pickup a couple tomorrow. As of writing this Mycomicshop has #3, regular cover for sale…When I ordered they were allowing two per, but now it looks like one per order. They also had Teen Titans Special #1 up for sale. I got 2x Venom 2x Hans and Marvel 1x Moon Girl and 1x Batgirl from Mycomicshop as soon as they went live. Got 2x more of each from my local comic shop.